Last year, Ceviche House relocated from a small storefront in North Park to a sprawling space in San Diego's Old Town community, but after less than a year in business at its newer location, the company has announced it has shuttered. 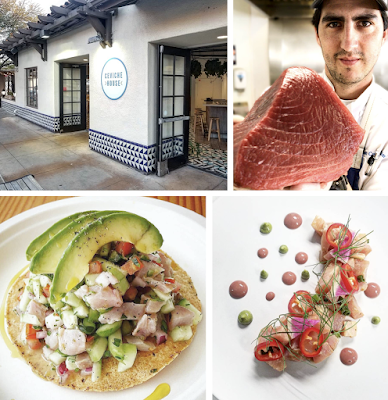 Founded by owner and chef Juan Carlos Récamier as a stand at local farmers markets in 2014 before opening the tiny 400-square-foot brick-and-mortar location in North Park in 2015, Ceviche House made the move to a full-service restaurant and opened in the 2,400 square-foot space that last housed El Charko Grill & Bar in San Diego's Old Town neighborhood in November 2017. Many industry insiders speculated that this move was a large leap for, what was then, a successful fast-casual concept. "It is with a heavy heart and emotion that we announce the closure of Ceviche House, a decision that was so difficult to come to, but unfortunately inevitable," said a post on the company's social media accounts. "We started out in 2013 and thanks to the support and love from you: our community, we were able to grow as we did." There is no word yet on if Récamier intends to revive Ceviche House in another form, whether it be as a caterer and farmers market vendor or within a smaller, less-ambitious space. Those looking to get a taste of Récamier's product can attend this month's Baja Culinary Fest, where the young chef is slated to be a participant. For more information about Ceviche House, visit cevichehousesd.com.